This week, Germany hosted the fifth Petersberg Climate Dialogue in preparation for the Climate Change Conference in Peru at the end of this year. Christoph Bals from Germanwatch gives his verdict on how the talks went. DW: What were the major outcomes of the Petersberg Climate Dialogue in Berlin? Christoph Bals: Big players for climate policy, and the EU too, are willing to get an ambitious deal next year in Paris for a new climate deal which is so necessary. China has, for the first time, announced a commitment about the peak year of China's emission. China is the biggest emitter by far in the world and soon China will have twice as much emissions as the US, the second biggest emitter. And this announcement, that they will relatively soon stop increasing their emissions, would be a turning point for the international climate debate. How do you see Germany's current position in the climate negotiations? Chancellor Merkel showed for the first time that she might come back as a climate leader on the international stage. She announced not only that in the next G7 summit - which is hosted by Germany - that climate change will be one of the key issues on the table. She also announced there will be an extra outreach event of the G7, where other important players will be invited by her personally, to discuss potential outcomes ahead of Paris. So, for the first time she has shown that she might be willing to again play the leading role in the international climate debate. 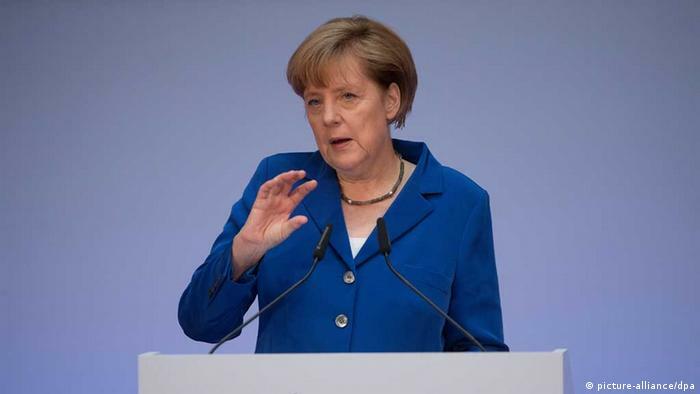 Will European leaders now be taking more of a lead in climate change negotiations? We are in a very interesting and critical situation in Europe. We have three debates which are crucial: climate energy policy, energy security policy, and recovery policy for Europe. In all three policy fields renewable energy and energy efficiency are at the core of a solution. And if this could be combined then we could get a really new dynamic from the European leaders. But at the moment it is totally uncertain as to whether we will really see this. Germany has donated 750 million euros to the UN Green Climate Fund to help developing countries to manage climate change. Is this enough? Are other countries likely to follow? It's a first and promising step. The German pledge only makes sense if we look at it as one important step. We now need also very good proposals on how the money should be spent and, on the other hand, we also need the willingness of other actors. We need reform of the big development banks so that they support climate transformation in the direction of energy efficiency, renewable energy and that they phase out their support of coal. So all this must come together, and this donation was one important step in the right direction. When and how will this UN Green Climate Fund be distributed? This is not really clear. But it was clear that half of the money should be spent for adaptation, more or less half the money for mitigation, this means for climate protection. It was also clear that a big part of the money should go the poorest countries in the world and not to those countries who can already afford to finance their energy transformation or resilience strategy in their own country. So there are some general indications how the money should be used, but now every country can bring forward plans. Then it will be decided who gets the money. How does the responsibilty of mitigating climate change between industrialized and emerging economies differ? I think equity is a crucial precondition for an ambitious deal in Paris. The [UNFCCC] convention has clear criteria for this: responsibility and capability. But the world has changed dramatically since 1990. Today, more than half of the ten highest emitting countries per capita are so called developing countries, usually oil countries. We also don't live any longer in a G7 world, we live in a G20 world today. This means that the old dichotomy between industrialized and developing countries is no longer valid. "We have to acknowledge that the world has changed," declared the Chinese minister some weeks ago in Bonn. At the same time it is important that we move out of the old "burden sharing" paradigm, [where people say] "climate protection is a burden, and others should carry it, not my country." This is not the way to create dynamic development. We need a combination of burden sharing, risk sharing and benefit sharing. Benefit sharing is probably the way to create most additional dynamics. What kind of co-operation can support countries with little capacity to move towards a resilient low carbon future? 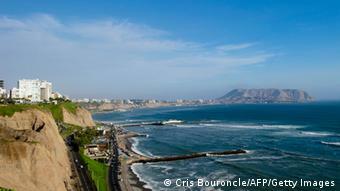 Are there high hopes for the UN climate conference to be held in Peru in December? The role of the Lima conference will be that all important elements for a deal in Paris should be on the table - still as options for a deal, but that we at least have a negotiation text and a platform. The next 12 months can then be used to work out the details of the deal in Paris. So, at the moment, it is crucial as to whether we get this in Lima or not. It is technically extremely important, but the decisions will only come one year later. Are countries on track to reach a new global agreement on climate change in Paris by the end of 2015? What needs to happen? There is new momentum definitely building up at the moment. Lots has to be done for us to really get success, but there's more optimism around now than a few weeks ago. 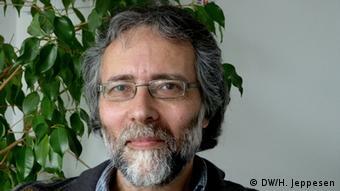 Christoph Bals is the policy director at the non-governmental organization Germanwatch in Bonn. He is an expert in climate policy and co-author of the paper "The End of EU Climate Leadership" published in October 2013.